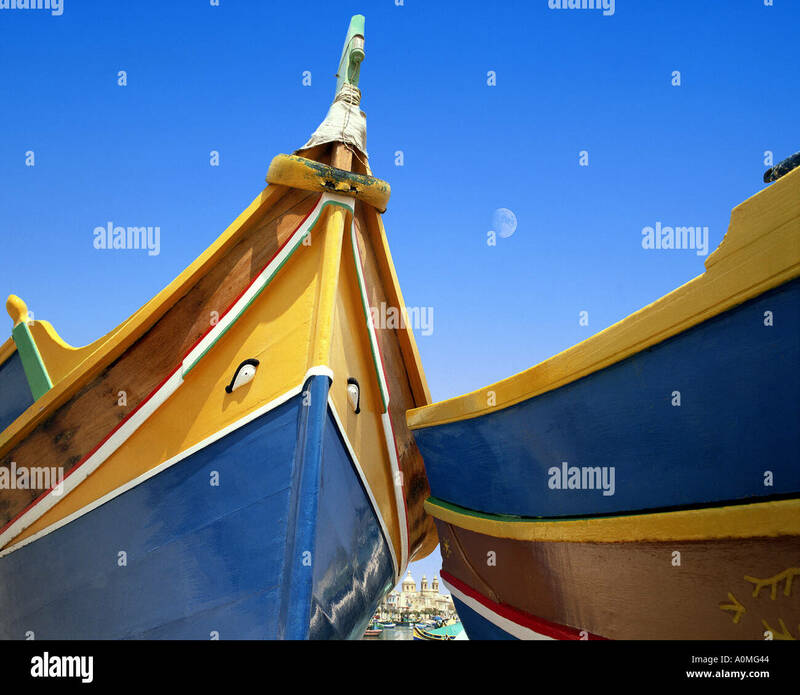 There are many small boats and yachts in Marsaxlokk's harbour, and many of the boats are the traditional Maltese fishing boats painted in strong colours and with the Osiris eye in front to avert evil. Along the waterfront are souvenir stalls and restaurants with parasols. The weather is brilliant and the overall impression is picturesque and peaceful.